A system with a proven success. Flexible & scalable to meet your business model. We dont own your website. You do. Technical training & marketing support provided. Very easy to use and ready to launch. Why so many auction sites failed? THE FOLLOWINGS ARE THE MAIN FEATURES AND FUNCTIONS THAT OUR TYPICAL PENNY AUCTION WEBSITE HAS WHICH IS HIGHLY CUSTOMIZABLE PER CUSTOMER’S REQUEST AND PER CONTRACTOR’S RECOMMENDATIONS BASED ON YOUR BUSINESS NEEDS. IF THERE IS ONE THING THAT WOULD SET US APART FROM ALL OTHER "PENNY AUCTION COPY CATS", THAT WOULD BE OUR ABILITY TO CUSTOMIZE YOUR PENNY AUCTION SYSTEM TO FIT YOUR BUSINESS NEEDS. Warning! If you think that simply buying a cheap & off the shelf Penny Auction Software will make you money instantly, think again. Hundreds have tried and most of them, if not all, failed. Some do make some money by cheating their customers with all sort of unethical tactics. DO NOT CONTACT US IF YOU ARE ONE OF THOSE. Our penny auction software is a powerful, scalable & fully-featured auction script that let you create the ultimate profitable online penny auction website, like pennysteal, swoopo, bidster, and madbid. It allows YOU to manage the entire online auction operation including: creating new auctions within seconds, managing auctions, managing customers, running transaction reports, offering the“buy it now” option, generating discount coupons, configuring hot lists; the list goes on and on. Our Penny Auction Software will allow you to setup comprehensive and robust auction sites with two auction types: regular penny auction and "buy seats" auction (users must buy seats to participate). Site administrator can adjust auction time, steps, bid increments, date format, user authentication, graphic design layout and other parameters within the admin control panel. Auction payments are integrated with PayPal and/or dozens of other payment gateway providers like authorized.net. All you need to do is to select a gateway(s) and we will set everything up for you! Our Penny Auction Software comes along with pre-built templates that you can utilize. However, we are also highly specialized in design unique themes to fit your business needs. 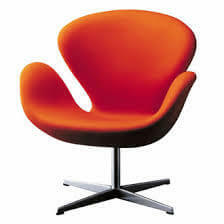 You can also easily integrate your own design if desired. We have many professionally designed templates that you can choose from. 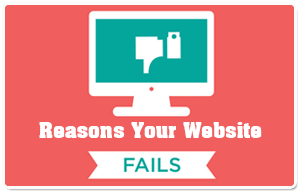 You do not have to know a thing about web design or possess any computer technical skill in order to run, manage and update your own penny auction website. If you would like to try it out, contact us for a test drive today! Easy dashboard for site administrator. Sign-Up - new customer sign-up is streamlined and the entire process can be less than a couple of minutes. Payment - offer your customers more than one way of paying for the bid package(s). Interactive - smart auto messaging is built in to keep your customers fully informed. Your Penny Auction Software is built with an easy dashboard for your customers. Your Penny Auction Software is designed and developed with security and stability in mind. At the heart of the penny auction is the timer that connects users' activities with the server and all the cron jobs that your server has to process must be stabilized and synchronized. Depending on the traffic your site generates, we will work with you to recommend the appropriate web hosting options. Not only are you a super admin, but you have the option to create more additional admin users and also the ability to set the level of access according to his or her responsibility. For an example, admin 1 can only create but can't delete but admin 2 can create, delete and run auction report. This feature allows you to promote your business and entice your potential customers to sign up for special deals or promotional coupons. Creating a coupon and applying it to your auction is as easy as A-B-C. You can create many types of coupons - coupon for cash discount, coupon for free shipping and coupon for free bids. See Penny Auction Software Specification for more details. Your penny auction software is equipped with easy-to-use sales report tools that you can use to generate critical sales reports such as auctions sold, bids sold, net profit or lost, et,. Clone Option gives the website administrator the ability to quickly duplicate an auction based on an existing one with unique auction ID, he or she can also update any field if needed. Hot List allows your customers to create and easily manage his or her "hot" items without having to deal with all the items that are not of your customers' interest. Adding on or removing an item to a Hot List or Watch List just one click of the mouse. Watch List allows your customers to pick and choose which item to watch for and receive real-time status of those items. Talking about giving customer powerful tools and the convenience to do business with you! For your customers, the system is smart enough to change from Bid It to Pay for It and from Pay for It to Track It depending on the actions that your customers have taken. Once the item is paid for by your customer, you can insert the tracking number so that your customer can easily track the order. Auto Bid is like auto pilot for your auction activities. It allows your customers to set up the amount ($) and the number of bids he or she is willing to pay for the selected item and when the time comes for auctioning, it automatically bids for your customer without him or her being there. Have an item that needs to be sold quick? What about a special promotion or a discount offer to entice your customer to sign up? Putting up such a banner on your site is as easy as pie -- No special software programmer or designer needed! All the tools you need are built in your Penny Auction Software. We currently have English, French, Chinese and Spanish. We are adding more popular languages to our library. These languages are professionally translated not using software to generate translation that sound foolish to the native reader. The default language is English. Each additional language can be plugged in per your request. See custom modules. This feature gives you complete control of whom you do not want to be able to access to your website. Unfortunately, there will be time that you need this feature. When you need it; it's there for you. Buy it now option offers your customers the option to buy the product at the discounted price after the auction is ended. This gives you another way to make money and assure your customers that the money they spent on the bid is not lost. Our buy it now option is one of kind. Your penny auction website is built with friendly search engines and as an admin, you can optimize your site with your own keywords, meta tag and description. Allowing your customers to send referrals to their friends to receive free bids to generate more traffic and business for your website. As a system admin, you can run many reports including Auction Sold, Buy Auction, Bid Used, Open Auction, Closed Auction, and Suspended Auction report and much, much more. Not only you can run many business and activity reports but you can also do data export to excel or csv file for easily mailing and marketing purposes. The ability to run user reports and view your customer'sbidding and purchasing activities is just within a few clicks of the mouse. Create an auction and then reserve it for only a certain class member. This encourages your customers to earn their ranking so that they can bid on more expensive items. How about allowing your new customers to practice and understand how the penny auction works by allowing them to bid without spending any bid on the designated auction? This feature can be a very inviting feature for your new customers. Creating promotional coupons for your customers to drive more business is just as easy as 1-2-3. You can specify a percentage discount or a fixed amount of dollar as well as when it can be used and when it is expired. A quick dashboard to show your most important information when you first logged-in such as the current number of bidders online, the number of bids sold for today, the estimated profit and much, much more. Populate your site with the latest news. These news can be controlled and managed at ease in your backend CMS. Google Analytics and other Cost-Profit report are integrated into your dashboard. These reports are crucial to your marketing strategy and implementation.Our Penny Auction Software doesn't just provide you type of auction but four levels of auctions - Regular, Gold, Silver and Platinum. Each level can be defined by you in term of requirements or conditions to be a member of such auction. You may not want someone who just signed up for a few free bids and ended up winning the most expensive item in the house. Reserving those expensive items for only a certain class of customers is what you may needed. Winning limit is a function available to the System Administrator to set the condition of how many auctions a person can win per day or per month and the duration as to when the person can bid again. Once the limit is reached, the account is locked out until the next day or next number of days. An automated email will be sent the customer by the system to inform of such restriction. This is a good tool to use on expensive item(s) and it's a way of ensuring the fairness for customers. If your budget is tight and you are just starting out your penny auction website, then this module can be added later on. The best real-estate of your website is the multi-dynamic banner area. You can use this as a place to display your most important product or auction as well as using it as a paid bill board for others. 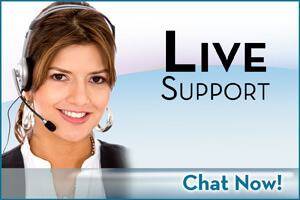 Live chat is an independent third party web based application that can be integrated with your website to allows the customer to chat with the site owner or staff online instantly. 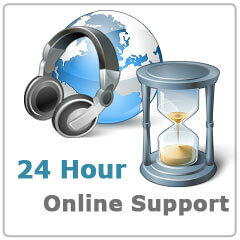 It is a perfect tool for online tech support and customer service driven. Expedite Timer is a function available to the System Administrator to set the condition of which allows and encourages customers to bid early and to not have to wait for the last minute to bid in order to win. Meaning, as long as it reaches the minimum price or the thresh hold price set by the Admin, the auction will be kicked into Expedite Timer and the last bidder will win regardless of how much time remains. The Expedite Timer is set by the System Admin and it is usually anywhere in 1 to 59 minutes. The Expedite Timer hides the actual timer so the customer does not know when it is going to end. This forces the customer to bid in order to win. This is a good tool to encourage your customers to bid early because the auctioned item can be gone anytime and in turn it helps you deliver more auctions. Minimum price is a function available to the System Administrator to set the condition of the minimum price of a bid. This must be reached before it can be won by a bidder regardless of the preset timer that may have been expired. If this is the case, (the minimum price HAS NOT reached the thresh hold and the preset duration has expired), the system will automatically increase the time by using Extension Time or Recurring Time. If no one bid on the Extended Time, then the auction will closed and it declared NO WINNER and all bids placed by your customer(s) will be refunded. The refund ratio is controlled by you as the site admin. If it has reached the "minimum price", this condition is voided and the last per bid is the winner. This is the best tool to use to prevent potential big lost on expensive item for site owner and it also makes it fair for bidder(s) who participated in the auction. We can help you produce an online tutorial video for your site. Whether it is a training video for your customer or a powerful marketing message full of sight, sound and motion; we have the staff and the experience to deliver it on time and on budget. Allowing the customer to buy the item anytime during the bidding process at the retail price. This gives people an option to bid or to buy it straight out. This feature not only helps you generate more business, but it also adds legitimacy to your business. A summary and easy to understand report is available to the system administrator. You can view where users are coming from based on the incoming marketing channel that the user identified when registered. Giving your customers the ability to vote for what auction they would like to see more often. This tool allows your customers to participate in auto bid (auto pilot) set by you, the Site Administrator. Three variable constraints or conditions included in the Auto Bid - Starting Price, Max Amount and Max Number of Bids. Starting Price is when the customer wants the Auto Bid to start, the Max Amount is the max amount of money the customer is willing to spend on the auction, and the Max Number of Bids is the max number of bids the customer is willing to spend on the auction. This is a very popular tool for many site owners. However, it is the most often misused tool where site owner created fictitious accounts and used the auto bid function to bid against other players. It has created a lot of mistrusts and controversies for the penny auction world. So if you bought it, use it ethically. This tool allows the Site Admin to set up more than one class of auction. There are Regular, Gold, Silver and Platinum. 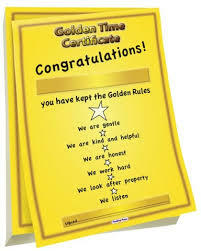 The requirement or qualification to be a Gold, Silver or Platinum member is set by the Site Admin. Such qualifications are based on the gross number of bids purchased. With this feature, it will prevent new users who may just have registered for the few free bids from winning big items that you as the Site Admin have set for only certain member. Integrating your penny auction website with a third party video service provider allows your customers to instantly record their video testimonial to publish on your penny auction website of which you have complete control of the video contents. With this tool, you create promotional coupons to help you generate more business. Three different types of coupons that you can create - discount price for purchase, free bids and free shipping. The system gives you the flexibility to create the value based on fix amount or based on percentage value as well as expiration date ranges. This tool gives your customers the option to resell the item that they have won but do not want it. Surprisingly enough, many customers bid hard to win an auction but when they have won it; many of them don't want it. This gives them the options resell it to others. A commission fee will be charged to the seller by the Site Owner and the number of days that can be posted is set by the Site Admin. If you are just starting out on your penny auction business, this module can be delayed for later on unless your budget has room for it. Allowing your customers to send referral request to their friends and in turn receive FREE credit for their sign-up or when they purchase the bid pack. This is a great tool to drive up membership registration and sales volume. Integrating your penny auction website with your twitter account allows your followers to follow you and giving you their feedbacks to show on your website. You have control over the authorized contents or testimonials regarding this. After all said and done, the most important thing that you can do for your business is to bring customers to your website. That is easy said than done. 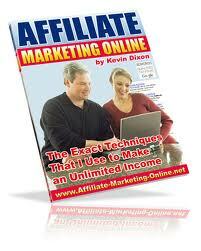 We can help you with the Sales Affiliate Software. This third party web based application software is to be integrated with your penny auction website to help you create an army of salesmen who will send traffics and customers to your website. Why? Because they got paid for doing so. The software will handle all the registrations, sales reports, customer tracking and commission reports; and much much more. This tool has been proven as one of the most effective tools in running a successful penny auction business. Seated Auction or Reserved Auction. This module is a great tool for high end or expensive items such as cars and houses. A Seated Auction contains a number of chairs or seats set out by the auctioneer(s). Each seat will have to be purchased by using existing bids or credits you have in your account or by cash (online credit card payment) depending on how the auction is set up by the auctioneer. Once the seats are filled as defined by auctioneer, the auction will start at the time defined and no one can join in this auction besides those who have the seat reserved. Each bid will increase the price of the item as defined by auctioneer BUT no additional cost to the bidder since you have already paid for the seat. The last person stands is the winner. If the seats are not filled at the deadline, then the auction will close and typically all the money will be refunded to those who have bought the seat(s). This feature is a great feature because it assured the profitability of the auctioneer and the bidders only have to compete with those who bought the seats. 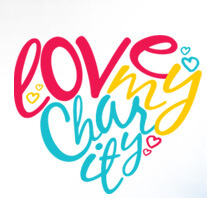 Charity - With this module, your customer can choose to donate bid pack(s) or won item(s) to a charity organization(s) that you have in your listing. You can also select yourself as the charity organization. A donation report is also built into the CMS for your convenience. An e-mail of the donation receipt will be sent to the donor and the recipient. This module is only recommended for charity organizations that are recognized by law as well as those receiving such donation. We reserve the right to suspend your software licensing if it's determined that you deliberately abuse this module. SMS Service - A third party service that can be integrated into your website to send text messages to your customers’ mobile phone. You can use this service for important announcements to those who subscribe. This feature is crucial for high priced auctioned items of which customers need to be notified . Information in the texts include of: starting time and ending time as well as other important reminders. Please remember that no form of electronic communication (emails or sms) is guaranteed to deliver in all instances. This is because such transmission relies on several networks, hardware and software to deliver it over which we have no control. 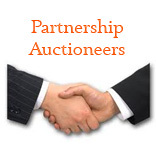 Partnership Auctioneers - With this module, you can post auctions not only on your site but also on those who register to be an Partner Auctioneer ( they can also put their auctions on your site). You, as the site owner, will make money on registration fee, on the bid packages sold and on items sold in addition to the high traffic that these Partner Auctioneers will bring to your site. This is the most complex and expensive module of all. It's only recommended if you have the appropriate financial and staffing resources to handle it. Technical Support - This module will allow your customers to submit technical support inquiries online and you to be able to delegate it to your staff to be able to track the status of it. Your customers can also track the status of their ticket by submitting the ticket number online. This is an independently hosted application that can be integrated with your penny auction site. This module is recommended if you anticipated a lot of technical support is needed and you want to reduce to operational cost of a live technical support person. Since this is an online web based application, you can outsourced the technical support to anywhere that is best served your needs. 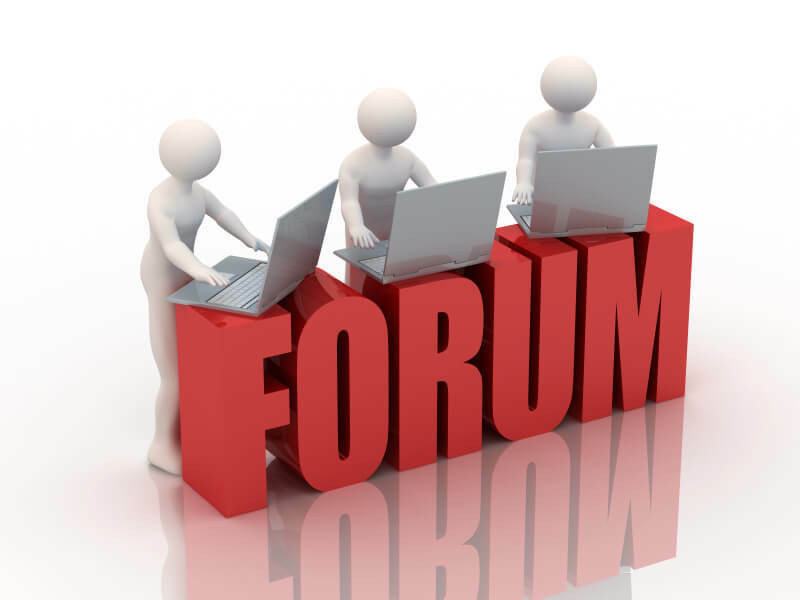 Online Forum - Unlike Technical Support, Online Forum is served as a library of knowledge and learning resources that you and your customers post via published articles and discussions. You, as the administrator of the forum do have complete control of its published content. You can create unlimited categories and posts. 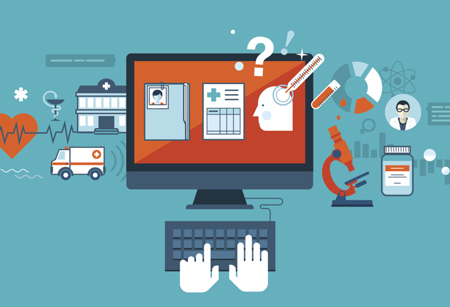 You also have the ability to dynamically assign users and access rights for registered users. This tool not only can help you divert some of the frequently asked questions and support issues to your customer’s but it can also help you as one of your search engine optimization efforts because of its rich content. 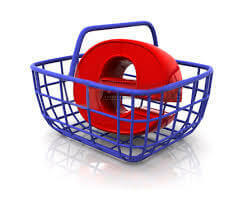 E-commerce Store - Combining your penny auction website with an e-commerce store is one stone killing two birds strategy. Your customer now not only can bid your your site but also can shop for item(s) that may not be availabe in the auction store. This integrated e-commerce store is a complete online store with built in shopping cart, taxes and shipping cost calculations. It also equipped with many popular payment gateway such as PayPal, Authorized.net, and many others. Yes, you worked hard to bring a customer to your site. Why not offer him or her the opportunity to shop for items that you may not want to put on your penny auction site and vice versa? Like most of other businesses, the success of your penny auction site is “marketing, marketing and marketing”. This module is designed to tap into the most popular social networking site in the world and that is Facebook. When there is winner, it will automatically posted the “won auction” to your Facebook page and let the message spread like fire for you. Unfortunately the majority of the world’s population is still doing business the old way - “cash”. This is where our Bid Card payment system comes in. Just think of it as a calling card where people purchase a pre-paid minutes to call. A Bid Card does the same. It allows people who do not have credit card to purchase bidding credit via Bid Card at the local store(s) and then redeemed it on your website. Once redeemed it, the bid credits will automatically added to your customer’s account. Traditional auction where bidders don't have to pay to play. This module offers a complete set of auction types such as Reserved Auction, Ebay Auction, and many others traditional auctions. Reverse Auction or Dutch Auction where price goes down as bidder bid instead of going up. You can set it so that a portion of the cost of the auction is collected via Reservation and the rest via bid package that you sold. FaceBook Connection is an API (script) provided by FaceBook to allow people to login to any website using FaceBook login credential once integrated. According to FaceBook and many other independent media research firms, FaceBook Connect API will help your website:1. Increased Registration - Data from Facebook states that sites that use Facebook Conect as an alternate to account registration have seen a 30-300% increase in registration on their sites. 2. Increased Site Traffic - After implementation, Facebook.com immediately begins sending web site traffic your way. Data from Facebook says that for each story published in Facebook, companies see roughly 3 clicks back to the site. Nearly half the stories in the News Stream get clicked on. This creates opportunities for the site to encourage more user actions – knowing that each one may result in 3 new visits to their site. 3. 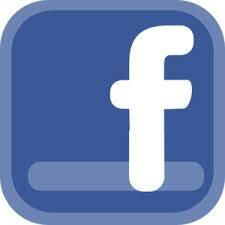 Increased Engagement – Facebook users are used to being social. They are an active group, participating, sharing, and generating more content. Sites with Facebook Connect see a 15-100% increase in reviews. Connected users create 15-60% more content than users who have not connected with Facebook Connect. 4. Improved User Experience - Facebook Connect offers users qualitative benefits too. No new site registration is required, simply login using your Facebook credentials. It also makes it easy to share with an existing network of friends or family by publishing activities to the Facebook Newsfeed, with only a couple clicks of the mouse. No typing or emailing required. Given the sheer size of Facebook’s active user base, this type of integration with an individual’s personal network could ultimately become the new “email a friend” feature found on websites worldwide. Cited Reference . For a complete list of all the plug-in modules, click here. Purchase Bids - member can quickly purchase and refill bids with our three easy steps. Purchase History - member can quickly view purchase history with detail such as date, description, amount, etc. My Information - member can enter and manage personal details. Change Password - member can change password. My Avatar - member can select favorite avatar among hundreds of pre-loaded. Refer Friends - member can refer friends for free bids. Suggestions - member can send suggestion and request to system administrator. Your Bids - a quick preview of your bid balance and history. Active Auctions - listing all the active auctions. Completed Auctions - listing of completed auctions. Watch List - containing a list of all items member added to his or her own watch list. My Auto Bids - containing a list of all items with auto bids created. Won Auctions - containing a list of all items member has won. Bidding History - containing a list of bidding history on both closed and open auctions. Site URL - domain of your website. Site Name - the business name for your website. Site Keywords - keywords for search engines to find your site. Site Description - description of your website for search engines. Site Google Analytic - enter your Google Analytic account to track your website's traffic. System Admin Email - an email that you system will use to send out all automated emails. Site Status - turn on and off your site. Maintenance Message - enter your "maintenance message" if you turned off your site. Free Bid(s) When Signed- Up - number of bids to give out to your new signed up user. 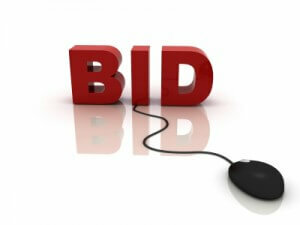 Free Bid(s) When Referred - number of bids to give out people who referred others to your site. Referral Settings - set condition for receiving free bids. Bids Refund Bid Rate (percent) - set a ratio of refund on refunding bids. Reselling (percent) - set commission percentage for reselling store. Reward Ratio - set Buy Now reward ratio. Winning Limit - set a number of winning limit a user can have on each day, each week or each month. Won Auction Expiration - set how many days a "won auction" has to be claimed. Bid(s) Refund Expiration - set a number of days a refunded bid expired. Buy Now Reward Expiration - set a time limit on buy it now. Cash Back Ratio - set a cash back refund ratio. Link FacekBook - set facebook link. Link YouTube - set youtube link. Link Twitter - set twitter link. Using Free Bids Condition - set conditions on using free bids. Commerce Options - turn your your site to e-commerce only, bid only or both. SMS Settings - set conditions on receiving SMS. 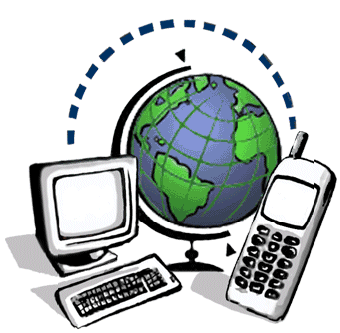 Communications Interface - you as a system admin will have the ability to control all the interface communication messages. Email Message Settings - you as a system admin can modify all the email communication messages. Payment Method Settings - setting what payment method you will use such as PayPal or Authorized.net for you site. Firewall Settings - set firewall to prevent unwanted users using your site. Manage Admin User List - as a system admin, you can add, update or delete admin users. Adding New Admin - add new admin user. User Management - view, update, delete, export, check status and suspend your users. Avatar Management - add, update and delete avatars. IP Address Management - view, add and banned your unwanted users based on IP. Country List Management - view, add, delete country list and all the cities within it. Auction Duration – Auction duration can be customized to your need. Article Management - system admin has complete control of all the articles. Banner Management - system admin can add new, delete & update banners. Dates Format - select different data format to fit customers. Default country - option to select a default country setting. Users Authentication - validating customers and with option to disabled or banned a customer. HTML meta Tags - option to enter keywords for search engines ranking. Set Level of Users - creating VIP classes or user groups. Free Bids - assign free bid for registration, referral, and special promotion. User Management - complete management of user accounts and information. Add, delete and update new admin user. Bid Increments - set bid increment each time a customer bids. Manage Packages - option to manage bid packages including adding new graphic design, description and price. Manage Banners - option to manage banner(s) including adding new banner, deleting or de-activating existing banners, etc. Add new auctions - administrator can add new, suspend or close an existing auction. Buy Bid History - run report of purchase history based on dates range. Pay Auction History - view history of payments. Coupon - create promotional coupon and discount. Report - run a variety of pre-built reports. Auction Extension Settings - set timing extension. About Us Page - easily manage and update about us page. How it works Page - easily manage and update existing how it works pages. Terms & Conditions Page - easily manage and update existing terms and conditions page. FAQs Page- easily manage and update existing FAQs page. Customizable articles that the admin can add and publish. Edit Data - Members can enter and manage personal details. Members can view auctions they participated in with the bid amount, date and other details. Payments history - members can view the history of payments made on the site. Won auctions - members can view all auctions that they won. Members can save auctions to their personal watch list and view the saved auctions at a later time. General Settings - The site administrator can define basic variables on the site like the site name, site url, administrator email and administrator PayPal email. Batch Procedures Settings - Administrator can define jobs on the server or choose to run the jobs from the site itself every time someone enters the home page. Site administrator can also define after how long old auctions will be deleted. Picture Upload - Define the maximum image size allowed. Error Handling - Site administrator can define the error message that will appear when errors occur on the site. Country List – Can be added or removed. Default country can also be set. Bid Increments - Site administrator can define the amount the bid will increase every time another bid is made on the auction. The values defined are the amount ranges and the increment amount.